Trump Supreme Court nominee Judge Brett Kavanaugh would tilt an already conservative court to the far right. We need a balanced court—not a rubber stamp for Trump that would permit our president to be above the law. Kavanaugh had to pass a Trump litmus test to secure this nomination. Many expect he would eliminate Affordable Care Act protections for preexisting conditions, which would be particularly devastating for transgender people and people living with HIV in our community. He is also likely to decimate Roe v. Wade, and with that access to critical reproductive healthcare, including abortion. The Supreme Court must be a court for all, not just for the privileged few. This is a time to speak out and take action. 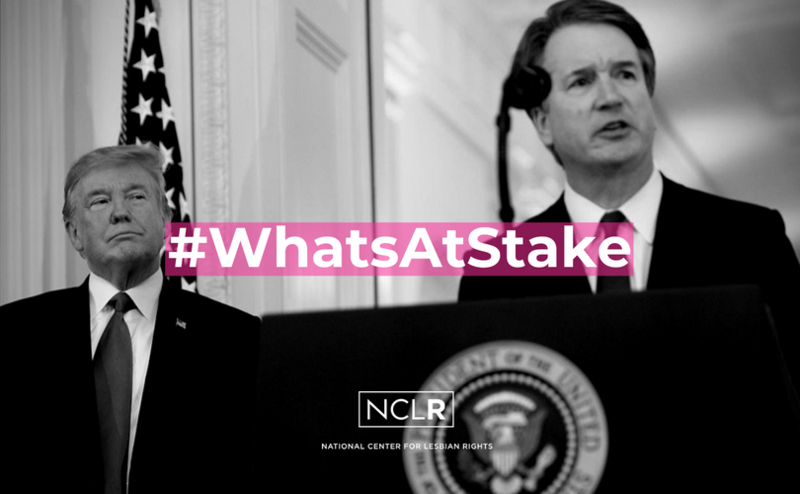 It is critical for the future of our community and others that we urge senators to use every tool available to them to oppose Kavanaugh’s nomination. Tell your senators NOW to reject Kavanaugh. We urge you to use every tool at your disposal to oppose Judge Brett Kavanaugh’s nomination to the Supreme Court. We need a balanced court—not a rubber stamp for Trump that would permit our president to be above the law. We cannot afford a Supreme Court justice who would put our rights at risk and turn back the clock on our basic liberties and equality. *You'll receive a call from 202-999-3870 that will provide you guidance on what to say to your officials, and then patch you through directly to them. Thanks for taking action! Be sure to let your friends know. I urge you to use every tool at your disposal to oppose Judge Brett Kavanaugh’s nomination to the Supreme Court. We need a balanced court—not a rubber stamp for Trump that would permit our president to be above the law.